LEGOs are probably scattered around your house so why not send them off to school in a backpack covered in LEGOs, as well! This 16" backpack is perfect for school, camp, or on the go! 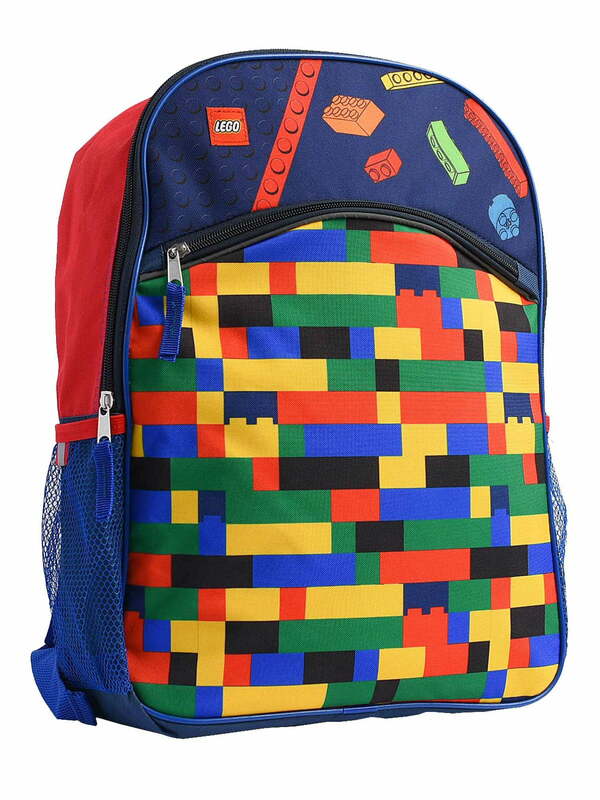 Boys LEGO Classic Print 16" Backpack Red Yellow Blue Green Bricks. Features image of Multi-color Wall of Lego bricks on the front pocket and image of Lego pieces falling. Two side mesh pockets with reflective strips for drinks, water, juice, or small umbrella. Adjustable padded shoulder straps have reflective strips and top carry handle. 1-Way zipper main compartment with 12" zippered pocket in front. Backpack measures approximately 16"H x 12"W x 5"D. Officially Licensed by Lego merchandise. Not recommended for children under 3 years of age.